Where do you live in London and what do you like about the area? I’ve lived all over London! From Kennington to Highbury & Islington and then Camden, to Holborn and Stoke Newington too. I have just moved yet again and find myself in Barnes, South West London, completing my circuit of the city! Barnes is a hidden gem, twenty minutes from Hammersmith, half an hour from Waterloo and 5 minutes by train from Richmond it feels ‘out there’ compared to where I’ve lived before, but also well connected. I chose Barnes because I love nature and was looking for a ‘small town, big city’ vibe. With its cobbled streets, boutique independent shops and cafes, cute rows of pastel-coloured housing with overgrown green gardens, rose bushes and the Thames running along its length, Barnes is just what I was looking for. I am spoiled ith walking and running options, and being a very outdoorsy person, this for me makes all the difference. The Thames is five minutes from my house where you can run uninterrupted right to Richmond and Kew or I go the other way and in 10 minutes I can get lost with the deer in Richmond park. There is a cute farmers market on Sunday where I can go with my reusable bags and collect my loose veg, taking time to chat to the growers. I am still discovering the area, but have been delighted so far. The pubs and cafes are a freelancer’s dream; quiet, warm and cosy. A lot of the locals go to work in the big city so, (like the cafe I am writing this in) I sometimes find myself with the best spot in the house all to myself. I can’t wait to explore further. What inspired you to move into the zero-waste space? My move to the zero waste space might look a bit random, especially as my background on paper is in partnerships and recruitment, but the reality is that has been building quite steadily. The catalyst though I would have to say was a combination of three things. Firstly, about two and a half years ago I read the book ‘Cradle to Cradle’ by William McDonough and Michael Braungart, it totally changed the way I look at waste and design. My eyes were ‘open’ to all of the design flaws in the disposable products we use and that whenever I put something in the bin I thought ‘this is so stupid’, I hated that feeling so began to naturally reduce those moments by buying less plastic. Secondly, after watching a pig being slaughtered at an eco-ranch when I was running a retreat at in Italy, I decided to educate myself further about my food choices and switched pretty much immediately to become a vegetarian. I went to a talk by Philip Lymbery who is the Chief Exec of Compassion in World Farming and read his book ‘Dead Zone: Where The Wild Things Were’ and I was hooked on understanding how and why our consumerist systems are designed to fail our planet, and to champion and protect those who are harmed as a result of those systems – animals, plants and people. Then finally, over last summer I travelled around the USA in a van, visiting eight of their majestic National Parks. 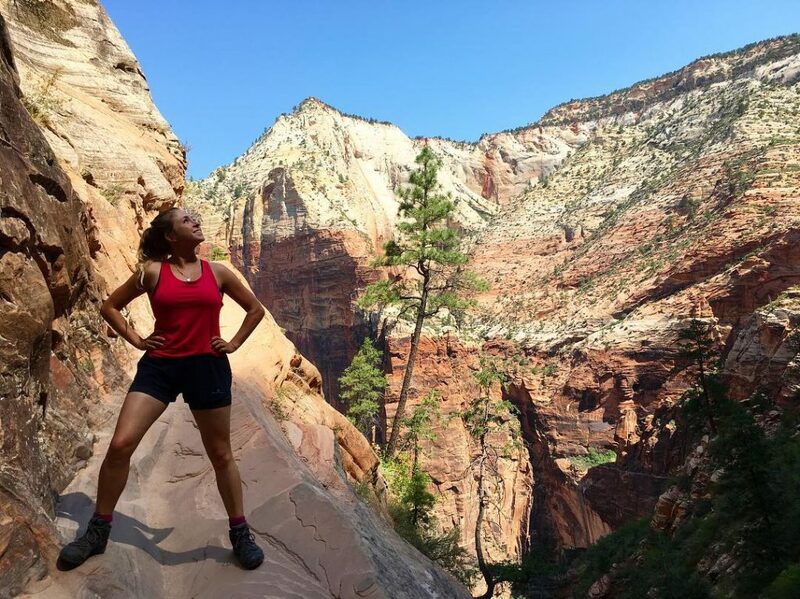 I fell in love with nature all over again and at the same time I was astonished to see the vast quantities of waste that is produced in the US. A scale at which, if we are not careful, the rest of the world will rush to match. Coupled with our ’12 year timeline’ to irreversible climate change and the plastic ocean crisis that saturated the news in 2018 I knew the time had come. Thus, with feet on the dashboard, watching the desert of Utah or great Teton Mountains in Wyoming of stream by my window, I decided to do whatever I could to protect this gorgeous planet. 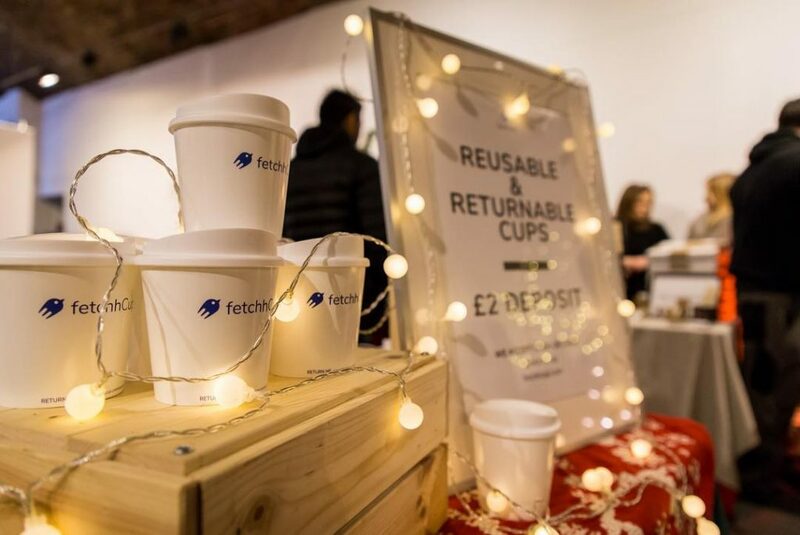 You held a zero waste Christmas market towards the end of 2018, what other events have you got coming up? I did yes! 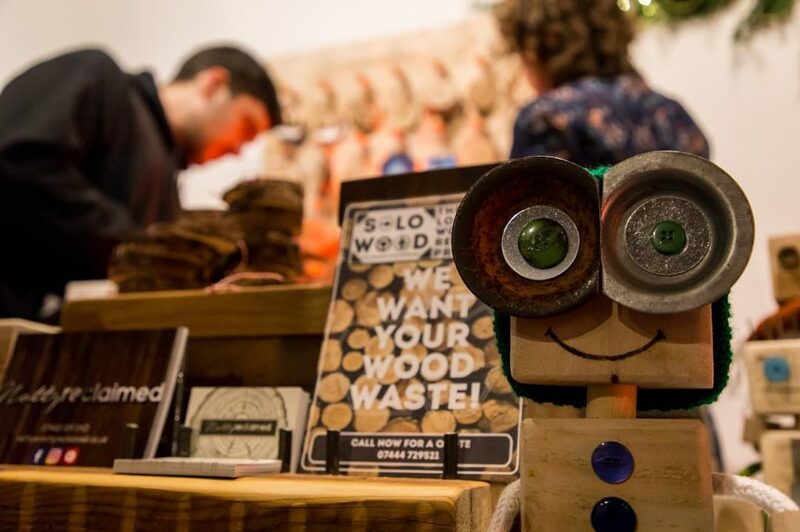 It was the first Zero Waste Christmas Market in London and possibly Europe, so that was exciting. 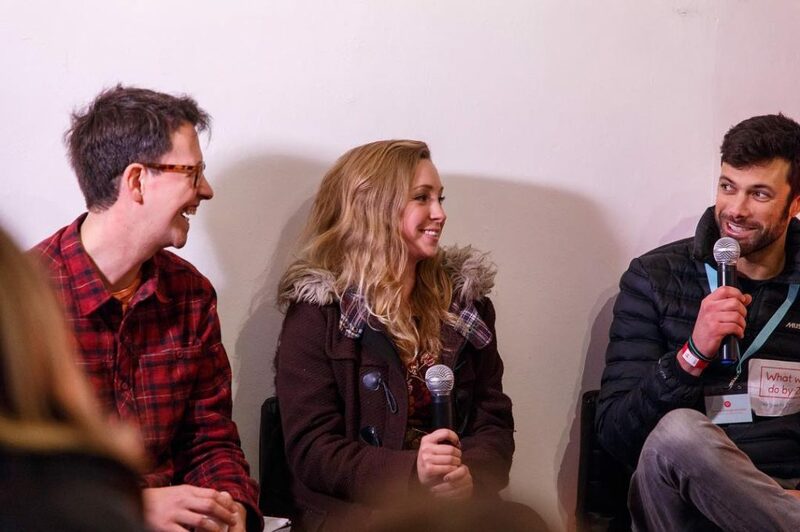 We had 27 brands showcase, a series of talks and workshops, vegan food options and over 800 people across the one day. It was so popular it was featured in TimeOut, WWF-UK, Vegan Home & Living, The Times and on the Dojo App. In 2019 it is all about building on this momentum and providing Londoners access to new zero waste brands, and to give the brands a platform to get noticed. I am in the early stages of scoping out another Zero Waste event in the first half of the year, an online directory and also to host another Zero Waste Christmas Market. Though this December, my goal is to launch in different locations around the country simultaneously! If anyone wants to run a zero waste Christmas market and would like support from my brand, followers and to be guided through the process I am looking for people to join me! I am also hosting a monthly series of Zero Waste Founder meet-ups to help zero wast brands connect, collaborate and scale effectively. It’s going to be an exciting year! What zero waste brands are you most excited about? That is a tough choice. Can I give you four? I am interested in everything zero waste; from household products to luxury consumer goods. I am excited to try out Splosh, who are a refillable, eco-friendly liquid cleaning company. I am lucky to be kitting out my new house with some gorgeous reclaimed wooden products from Notty’s Reclaimed. They make bespoke, hand-crafted wooden items from wood that is rescued from landfill. Desire for hand-crafted products and respect for tradespeople is a returning trend, people are moving away from faceless, mass-produced companies to favour independent and individual brands. Another one to watch is I Am Nut Okay. I love them not just because their vegan cheese is delicious and packed in reusable glass containers, but because they live their values! You’ll only find them at markets as for them selling online creates more waste and I respect that. My final choice is Terracycle. Terracycle is an innovative recycling company who recycle things that are not commonly recycled, for example food wrappers, bottle tops and nappies. They sponsored the market by giving us a zero waste box for any unavoidable plastic waste we produced – namely in food production. A great team and great service to the planet. Finally (I know this is five) but Allbirds! I got my first pair of Allbirds wool shoes and they’re amazing. Eco-friendly, machine washable, all natural materials, innovative technology and totally transparent. Love it. They also use tree fibres, castor bean oil and sugarcane! Can you share some tips/advice on easy ways to live more sustainably? My top tips for more sustainable living starts with wherever you are right now. If you’re new on your journey it can be as simple as getting the reusables sorted and building a habit of taking them out with you. Or if you do that already, it could be going a step further and cooking all your meals at home, buying bulk supplies and packing snacks so you avoid any unnecessary food wrappers when on the go. Even swapping your energy supplier to a renewable and ethical company is a great move. Eating less meat and dairy is also a huge win for the planet, so add two or three days of veggie/vegan meals into your diet. Go to Honest Burger in Kings Cross and try a bleeding vegan burger if you really struggle to give up meat. Start slow and to go with whatever excites or frustrates you! My first purchase was a soda stream because I hated buying plastic bottles for fizzy water. Take one item you dislike the most, find an alternative and give it a go. I also recommend staying in the room you start on, until you’re happy with it, as this makes it much easier to manage and stay interested in e.g. stay in the kitchen before tackling your bathroom. You can also subscribe to movements such as Olio or too-good-to-go and help reduce food waste, or shop in charity shops instead of buying new clothes from the high street, take part in clothes swaps, subscribe to Oddbox to rescue wonky veg or Love Food Hate Waste. You can also get refillable containers for your household & beauty products and top them up at a zero waste shop. Buy from reputable zero waste brands and tell all your friends about your experience. You’ll find they will most likely start to think about their own behaviour too, which is great! My perfect day in London would be in summer. I would start with an early morning swim in Soho House in Shoreditch with my partner Matt, followed by a trip to the Columbia Road flower market to snoop around the cute shops together, drinking coffee (from my reusable mug) and hunting for some lovely plants. Then we would walk along the canal, stopping in to see the animals at Hackney City Farm, and grab some tasty food from Broadway Market (the olives and their veggie scotch eggs are my fave). After that, we would pitch up in Victoria Park for a couple hours reading in the sun and enjoying the picnic on the grass, before grabbing a Boris Bike and heading to Cub for dinner with a bunch of friends. Cub is a zero waste restaurant that is the twin to Silo in Brighton, I am desperate to go as I hear their food is amazing (Silo’s is astonishingly good) and the business is 100% sustainable, with ethically sourced ingredients. To top it off, Cub has partnered with Mr Lyan, a sustainable cocktail expert who has won hundreds of accolades (including World’s Best Bar!) and champions the cause in all of his locations. Plus, his cocktails are delicious.